Looking for careers in multiple sclerosis research? Available positions will be posted here periodically. For further inquiry, please contact us via the online form. A Principal Investigator position at the Assistant Research Scientist level is available immediately at the Tisch MS Research Center of New York. Applicants should demonstrate their capabilities to lead an independent research project in any of the following topics with relevance to MS: (1) Neuroimmunology with emphasis on innate immune responses in MS; (2) Virology, with background in herpesvirus/EBV; (3) Neuropathology of human MS and animal models of demyelinating disease and neurodegeneration; and/or (4) Neuronal and glial cell biology. Successful candidate will be expected to train and supervise research assistants, and will have opportunities to collaborate with other Tisch MSRCNY scientists. Applicants should have a PhD or MD/PhD with relevant postgraduate experience. Applicants must have excellent oral and written communication skills, and should demonstrate ability to work in a collaborative environment. We offer a very competitive salary and benefits in a pleasant and professional work environment. The position is fully funded for 3 years, with opportunity for extension. To apply, please e-mail a cover letter, curriculum vitae, and names of three references to researchjobs@tischms.org. Please specify “assistant research scientist application” in the e-mail. A Research Assistant position will be available at the Tisch Multiple Sclerosis Research Center of New York (Tisch MS) starting the summer of 2019. Applications may be submitted beginning in January 2019. 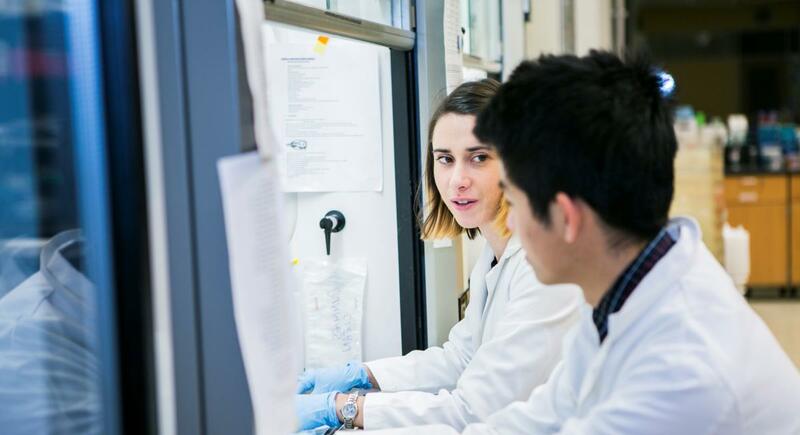 Ideal candidates for this educational opportunity are students, who have recently completed their undergraduate education, seeking a rewarding experience in a biomedical research program before attending graduate or medical school. Working in our research laboratory under the direct supervision of a principal investigator, the Research Assistant will be required to perform a variety of techniques in the fields of immunology, molecular biology, cell biology, and neuroscience including, but not limited to, PCR, aseptic cell culture technique, histology, experimental animal models, western blotting, ELISAs, and flow cytometry. Candidates must have good oral and written communication skills and should be able to demonstrate the ability to work as a team. Applicants must have a recent Bachelor’s degree in the biological sciences, or should have an expected graduation date for the spring of 2019. Previous laboratory experience and a two-year commitment are required. We offer a very competitive salary and benefits package. If interested, please send cover letter, CV (please include your GPA), and names of three references to researchjobs@tischms.org. Please specify “Research Assistant Application” in the e-mail.